I can't explain how amazing Mary was at helping me plan my dream wedding. 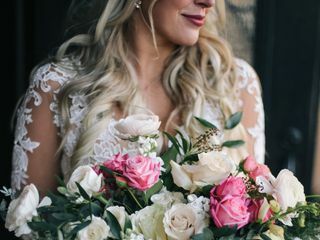 I’m not a typical bride who has had every detail planned since I was 5 years old, so I truly needed Mary’s expertise to help me create a vision. Every time I felt overwhelmed, I would talk to Mary and she would calm me down because she was always on top of things. She gave my mom and me so much time in our meetings and was never bothered or stressed, putting us at ease knowing we definitely chose the right coordinator. She helped plan our timeline and coordinated with all of our vendors and even referred us to someone who did our seating chart and place cards in beautiful calligraphy – at a very reasonable price. On the day of, one of the guests broke our champagne flutes, and Mary had them replaced with the venue’s flutes ready for our cake cutting. She even went up to my room during the reception and got sandals for me to wear for the rest of the night. My wedding day had zero stress involved and is still a day all of my friends and parents’ friends talk about as “one of the most amazing weddings they have ever attended.” This is all because of Mary. I had no idea where to begin with the wedding planning process, and Mary put it all together. I honestly believe none of it would have been possible without her. Thank you for the great review Rachel!! We are happy to have helped! Worth her weight in gold! Love Mary Fencl! I don't even know where to begin! Mary and her team were absolutely amazing! I hired them for the month of coordination and Mary handled everything. I gave her my list of vendors that I had hired and she made sure everyone was where they were supposed to be and were doing their jobs. She even was able to hire some vendors for me that I had not even thought of! Mary was great at the rehearsal dinner and made sure everything ran smoothly. That evening I decorated one round table and one rectangle table the way I wanted them to look and Mary and her team came in and did the rest! Everything was so beautiful. It also rained on our wedding day, but Mary made the best of our plan B and I really couldn't have asked for a better day! The rain was perfect. They decorated the fireplace at our plan B for the ceremony to match the rest of my decor and I was shocked at how gorgeous it was. The ceremony and everything went so smoothly. None of the vendors needed to bother me while I was talking and having fun, because Mary was there to direct them. If you are on the fence about getting a wedding planner, I say do it!! You won't regret it! Mary Fencl and her team are absolutely amazing and worth every penny! Thank you Amber!! What a wonderful day we made out of our plan B! You're vision for the day was so fun to execute! Thank for letting us help you celebrate!! Hiring Mary Fencl Events was one of the best decisions I made for my wedding. A coordinator was not originally part of my plan, but after meeting with Mary it became clear that I wanted a dream team in my corner. During our meetings and email conversations, our head coordinator Janelle asked thoughtful questions, made meaningful suggestions and always ensure our wedding vision carried out. It was an amazing feeling when I walked into my wedding venue in the early afternoon of my wedding day and it was already completely decorated. 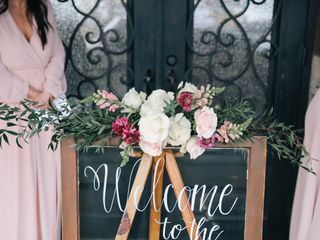 For those who are on the fence about wedding coordinators – absolutely consider it! 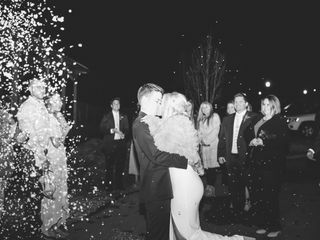 Mary Fencl Events helped us to maximize our budget and made sure we spent our big day with friends and family, not setting up or tearing down. Thank you so much Nikki! We had such a joy working with you and helping make your day a reality! Thank you for trusting us with such a special occasion! Mary helped with my wedding a couple years ago and did a fantastic job so i reached out to her for my brother's elopement party - she couldn't make it but Janelle took the reins and it was perfect! She had great ideas and gave us so much peace of mind the day of by setting up and coordination with everyone! I recommend Mary to all my friends, but if she's not personally able to be your coordinator don't fret! The whole team is wonderful!! Mary and the rest of her team made my dream wedding happen. From the very beginning, 10 months before the actual wedding, Mary was willing to answer my questions and suggest the best plan of action for each aspect of the ceremony and reception. She contacted my vendors and made sure they knew the plans thoroughly for where they were supposed to be, and when. I know there were a couple of mishaps during setup, and Mary handled them with grace and patience - and I never knew a THING happened until after I got back from my honeymoon. What a wonderful investment Mary Fencl Events is - you won't regret choosing her. Mary made every aspect of our wedding and coordination a dream. I couldn't have asked for anything better and I know our vision for our wedding was achieved because of Mary. Cannot recommend her enough! If anyone is reading these reviews and wondering if you should hire a wedding planner, the answer is YES! I cannot explain how much help MFE was, not only on the day of my wedding, but through the whole process. My mom and I first met with Mary and we knew instantly we needed to book with her. At our first meeting, she mentioned things we hadn't even thought of and was already helping us plan. After booking, Mary matched me with Janelle for my specific coordinator. I cannot say enough good things about Janelle. She helped me every step of the way. I didn't even have to ask about things, she would just let me know they had already been taken care of! On the day of the wedding, myself, my family, and friends all just got to relax and enjoy the day/night because Janelle was taking care of everything. She would let my husband and I know when and where we were supposed to be and what we were supposed to do. Everything went so smoothly. If anything went wrong, I didn't know about it because she had already taken care of it. My parents, wedding party, and other vendors repeatedly commented on how wonderful she was at the wedding. I could go on and on about Janelle, but to keep it short, she definitely goes above and beyond. I am so happy I chose to book with MFE. Mary's dad even married my husband and I! They are all around a wonderful company. So if you are thinking about hiring a wedding planner, go with MFE and if you get Janelle, consider yourself lucky!! YAYY!!! We are so thrilled, that you are so thrilled with your wedding day! Thanks for letting us be a part of it, and thank you for the great review! She cares more than you do. Mary was such a wonderful wedding planner! She really took the time to get to know us and that meant a lot. We come from a fairly unique and traditional South Indian background and she really did such a great job! I was able to ask her a question any time it came up. She was SO accessible and had great ideas and input. We would not have been able to pull off our wedding day and reception if it wasn’t for her. She is perfect for this job! Operationally, she knows how to tie things together and make sure all the events of the day flow perfectly. We were so blessed to have her help. She was willing and helpful in every step of the planning that we needed. The most helpful things she did was to coordinate with all our vendors. Photographer, videographer, reception host, decorators, church staff, family, ushers… every piece of our intricate and beautiful wedding she was there to help us have the wedding of our dreams. The day of our wedding flowed so smoothly that I could not even believe it. I was able to actually soak in the day. It did not fly by but I was able to breath and take it all in. We highly recommend Mary. Especially if you South Indian like us! She was great to work with and respected every wish we had and MADE IT HAPPEN! THANK YOU SO MUCH MARY! Thank you Ryan! Thank you for trusting us with such and important and beautiful occasion! It was a joy to get to know you both and your sweet family!! Thanks for letting us be a part of it!! Mary and her team did an absolutely amazing job with our wedding! They took care of everything we needed and everything else we didn't know we needed! Mary is incredibly knowledgeable, calm, positive and on top of everything and putting everything in her capable hands gave me peace of mind on the wedding day. We got so many compliments from guests and vendors about how great she was and could not agree more. I simply cannot recommend her highly enough! She is the best there is! Mary and her team were more than I could have hoped for. I was referred to her by a friend and they did not disappoint! Mary was always available via call/text for ANY questions I had. She was always so sweet, supportive and fun to work with. There are so many things that go into a wedding it is hard to keep it all straight - Mary and her team helped ease my anxiety with this and took care of everything leading up to/on the big day so I could be present and enjoy this special time. Even on my wedding day with all there is to do Mary and her team were easily accessible and always there to help make sure everything runs smoothly. It was the best day of my life and Mary Fencl Events made it happen! Thank you Talyor!! 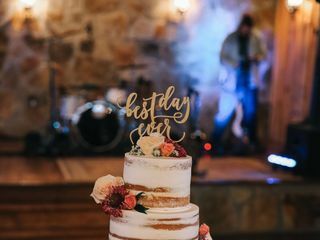 We had so much fun executing your unique vision for your day! It all came together so well, and we are so pleased to have been a part of it! 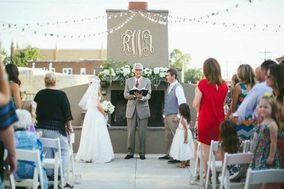 Choosing Mary Fencl as my wedding coordinator was the first and best decision I made during my wedding planning process! Before I had first met with Mary, I was a little unsure if I wanted to spend part of my wedding budget on a coordinator. However, after meeting with Mary and hearing her excitement and vision for my wedding, I was sold! I knew I wanted her as my coordinator, and she didn't disappoint. Every detail of my wedding was exactly how I envisioned it, thanks to Mary and her team. What I loved most about hiring Mary Fencl Events was that I was able to thoroughly enjoy my wedding day. I am a naturally stressed-out person, but I did not stress one bit on my wedding day. I was able to relax and enjoy that whole day (and my mom and bridesmaids included) because of the work that Mary and her team did. That was the biggest blessing, and I cannot thank them enough!!! Mary was honestly the best decision I could have made for our wedding! Planning a wedding out of town is slightly difficult, but Mary was very responsive through email and phone calls to help and answer any questions I had. The whole wedding went perfect and we didn't have to stress or worry about a thing during our wedding. It was the best day ever! I would recommend Mary to anyone looking for a wedding or event planner! I plan events as part of my job so naturally I thought I could absolutely do a wedding. However, I am also a perfectionist & doing that for your own wedding is not only exhausting, it’s impossible. After figuring that out the hard way I reached out to Mary, she was amazing! She has a way of being honest and frank without coming across rude or bossy which is hard to do. We had a huge wedding (360 people, 30 in the wedding party) with a lot of crafty/extra/over the top ideas that needed executing. Mary did a WONDERFUL job making all of that come to life. So don’t stress on your wedding day, trust me, it’s better to have Mary! Thank you so much Samantha! I'm so very glad we were able to help on your wedding day! We had so much fun going into every detail with Nana :) You guys are awesome and we are so happy to have helped make your best day a reality!! Mary was seriously the best investment for our big day. She allowed myself and family to feel at ease while she took care of all the logistics of the day, so we could ENJOY the day! She was always very prompt with communication and on time. I would hire her again and again! She was always so prepared. She even sewed my sleeve onto my dress while I ate cake because of a wardrobe malfunction. I couldn't have had such an incredible wedding without her. Mary Fencl Events is absolutely amazing!!! One of the easiest and best choices we had to make for our wedding. They made sure everything was perfect on the day of the wedding! Mary was always available with questions and suggestions. She made my life stress free the weeks leading up to the big day! She helped setup our rehearsal dinner and made sure our rehearsal went smoothly. If you are wanting a stress free, beautiful, relaxing wedding day, hire Mary Fencl Events to coordinate your wedding! There were many things i was unsure of heading into wedding planning, and Mary answered all of those questions and some i hadn’t even thought of yet. She helped create a timeline for the day of along with making sure the vendors were all there and ready to go. Again, i can’t say enough good things about Mary and her team! Thank you Nichole!! We loved working with you and your family!! Janelle and her team were in charge of my day and made every detail a dream. I thought I could plan a wedding alone, but quickly realized I needed help with the small details that suddenly become so overwhelming. Janelle took care of EVERYTHING and made me feel like I was the most valued and special bride in her world. Because of MFE, my whole wedding party and family got to sit back and enjoy the day with me. We weren't busy decorating and communicating with vendors because Janelle was taking care of it. Her help was priceless- my day would have been so stressful without her. I highly recommend MFE to any bride!! Whether you've had your day planned since you were six, or you are like me and have no real idea of what you want, having the MFE team is the best money you will spend. Without their help, I would have missed so many moments and joys I got to experience because I was stress free. Thank you, MFE & Janelle! You guys made my wedding a complete dream. Thank you for the review! We are so proud of all of our coordinators, and Janelle was such a perfect fit for your day! Thanks for letting us help! Mary and Janelle were so helpful and made my day flow perfectly! My toss garter got lost during the commotion of getting ready and taking pictures and Janelle had a backup already on hand that she let me use! They are prepared for everything and very professional. They listen to what the bride actually wants and what is important during the wedding day. Their schedules are flexible and are willing to accommodate to what the bride is needing. They were great with coordinating my other vendors to make sure everyone was on time and where they are supposed to be. My day was so stress free all thanks to them! I would recommend them to anyone getting married because I learned that wedding planners are a MUST! "Words cannot express how amazing Mary Fencl Events is! Mary is simply the best, and she really brought our dream wedding to life. We had our reception at the Dresser Mansion, and initially weren’t planning on having a day of coordinator, “We’ll do it ourselves!”, we naively said. My husband and I planned our entire wedding out of state, and as we began to get deeper into the planning, we quickly realized that we needed some help. Since we we’re living out of state, all of our communication was digital, and we actually only met Mary in person 5 days before our actual wedding day! If that doesn’t scream trust, I don't know what will. Simply put, Mary made things easy! She was confident and in control the entire night, but not overbearing or pushy in any way; this resulted in an incredibly smooth running reception and happy guests alike. We loved the fact that Mary not only saw our vision, but executed it perfectly. Along with setting everything up and making sure things we’re moving according to our schedule, she also made sure to take down everything at the end of the night and insisted that we don’t worry about anything. Mary and her team made us and our guests feel so comfortable and therefore our reception was just magical. Because of Mary Fencl, we can legitimately say that we had the 'perfect’ wedding!" We hired Mary as our month-of coordinator, but she was available via text and email after our first-meeting to weeks after our honeymoon. Mary was absolutely fantastic and knew just what to say to calm me whenever I became too stressed! On our wedding day, she lead the charge and my husband and I did not have to stress about anything. She was even able to sew one of my bridesmaids into her dress when the zipper broke 30 minutes before go time. I didn't stress a bit because I knew Mary had it handled. After the wedding, I had numerous family members and friends tell me how awesome she was. I highly recommend her!! It was such a joy to have Mary as our coordinator. We live out of state, but she was always able to put our mind at ease and make me feel confident that everything will go smoothly. Even though she was only our day of coordinator she was involved a year in advance. We only got to have one meeting in person and during that she had a stock of rentals that she let me go through and let borrow for such a reasonable price! My lovely fiance and her bridal party was 30 minutes to our rehearsal and while others seemed irritated and short with us, Mary was very calm and sweet about the whole situation. Day of her and her other coordinators were there. They came early to set up all of our items and did an amazing job setting up all my decorations I didnt know what to do with. She helped to make sure the whole day ran smoothly and we surprisingly on time pretty much the whole day despite all of our family and bridal party! Mary came highly recommended by our venue and I definetly know why!! Not only is Mary one of my best friends and was one of my bridesmaids, she somehow managed to be in a million different places doing a million different things to make my wedding the best day ever. Mary and her team never miss a thing, no detail is too small. She is with you through the entire process and takes all of the stress off of your shoulders. She is knowledgeable and has answers to your questions, and does whatever it takes to make your vision of your wedding a reality. 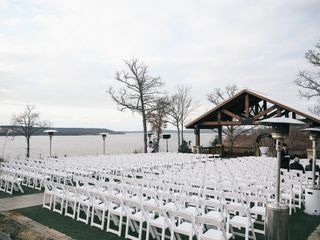 Having Mary Fencl Events as our day of wedding coordinator was one of the best decisions we made while wedding planning. 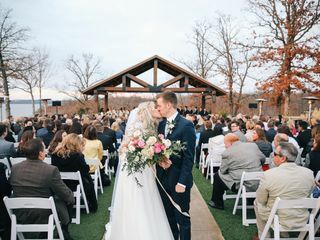 Mary's team allowed us, our wedding party and our families to fully enjoy every moment of our wedding reception - starting from the first vendor arriving for load in to the last guest leaving. 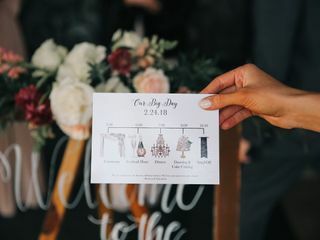 On the day of our wedding reception, Mary's team met all of our vendors on site, coordinated our pre-determined logistics and plans, handled all last minute requests, ensured all details were in place, managed our timeline, and packed up all decor. Mary was helpful, reliable, and trustworthy. She kept our wedding reception flowing as planned, without it feeling rushed or too scripted. She allowed us, as the bride and groom, to savor each moment from our beautiful day without worrying about small details. She allowed our families and wedding party to fully enjoy the reception without having to worry about packing everything up at the end of the night. She was organized and prompt, and made load out a dream for our parents and vendors. We highly recommend Mary Fencl Events! Mary was an absolutely amazing asset not only the day of but everything leading up to our wedding day. She made sure everything and everyone was organized to ensure that everything went off without an issue. She was also available always for anything I needed or wanted her help with. As the Bride, I was able to be relaxed and truly enjoy the special day, knowing that Mary had everything under control. Any Bride would be lucky to have her!! Thanks again for making the day truly special!! I would have you coordinate another event for sure. Mary and her team were really great every step of the way. Right from the start of our decision to choose her as our wedding planner, she has guided us along the way at every step in making our wedding a perfect one.